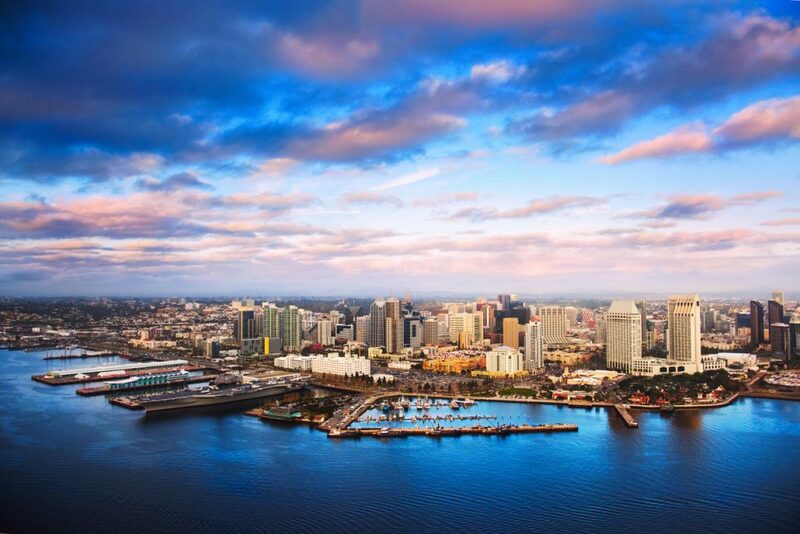 Whatever kind of entertainment-viewing experience you’re craving, San Diego has it. From clubs where you can have an intimate experience sharing a room with your favorite artist, to gigantic venues where living legends come to strut their stuff in front of thousands, to taking in sports stars vanquishing their foes – here are some of the best spots to be a spectator in San Diego. The San Diego House of Blues has been in business since 2005, capturing the combination of class and soul that made the franchise famous. House of Blues is known for its efforts to support local artists, and for the respect it pays to the history and tradition of American blues and soul. Fun fact: A box of Mississippi Delta mud is welded to the structure of every House of Blues stage, to ensure a connection to the South. As noteworthy for its food as it is for its entertainment, the club offers a Southern-style menu overflowing with everything from Voodoo Shrimp and Cajun pasta, to andouille sausage and barbecued chicken with Memphis sweet sauce. Show up Sundays at 11am for the renowned Gospel Brunch, which combines those Southern specialties with live gospel music. Of course the 1,500-capacity club’s cornerstone is its concerts, and the eclectic offerings you can catch include maverick country heroes, classic rock legends, dub reggae trailblazers, jam-band titans, and more. Third Avenue’s San Diego Civic Theatre is one of the city’s most important cultural institutions. Run by the nonprofit San Diego Theatres organization, it opened back in 1965 as part of an effort to bolster a vital downtown arts scene. In addition to being the home of the San Diego Opera, the nearly 3,000-capacity theater has hosted world-class orchestras, comics, Broadway talent, dance collectives, and many others. Louis Armstrong, Bob Dylan, Johnny Cash, Itzhak Perlman, Bob Hope, and Ray Charles are merely a few of the legends to grace its stage. More recent schedules include productions of Hello Dolly, Disney’s Aladdin, as well as the timeless operatic treasure Rigoletto. Also overseen by San Diego Theatres, the Balboa is the sister venue to the Civic, and its story goes back even further. In fact, it’s on the National Register of Historic Places. It opened in 1924 as a home for movies and vaudeville shows. Over the decades it was transformed for many different uses (including as quarters for sailors waiting to ship out during World War II); it then lay dormant for over 20 years before being renovated in 2008 as a state-of-the-art performance venue. Since then, the Balboa, with a capacity of over 1,300, has hosted everything from the Mainly Mozart Festival to shows by Elvis Costello, Craig Ferguson, and Willie Nelson. The calendar never dries up, featuring the likes of country legends, folk-rock hitmakers, classic rock icons. If you’re after an outdoor concert experience, this one is tough to beat. One of the area’s biggest music venues, the Chula Vista amphitheater boasts a staggering 20,500 capacity, and opened in 1998 with Hall & Oates and Chicago playing the first show. Ever since, it’s been a prime spot to see some of the biggest acts on the planet in a setting that combines reserved seating and an open lawn section from spring through autumn each year. The lineup has something for just about anybody — think contemporary to timeless hitmakers with a range like Train, Goo Goo Dolls, Hootie & the Blowfish, Ozzy Osbourne, and more. As you might expect, given its sheer physical space, the sprawling, 370-acre area that is the Del Mar Fairgrounds encompasses a lot, and hosts everything from horse races to huge concert extravaganzas. It’s the site of the annual San Diego County Fair + Summer Concert Series, the Del Mar Racetrack, the Del Mar National Horse Show, the Del Mar Golf Center, several exhibit halls, and much more. The 3,500-seat Del Mar Arena has featured some top-tier concerts; headline-makers have included the Not So Silent Night featuring Thirty Seconds to Mars, AJR, and Elle King. Sports fans know the Viejas Arena as the home of San Diego State Basketball since 1996, and the place for San Diego State Football before that, from its 1936 establishment as the Aztec Bowl until 1967. But in addition to maintaining its status as one of the best indoor basketball arenas in the U.S. with more than 12,000 seats, it can also be transformed into a 13,500-capacity concert venue. Cher, Aerosmith, No Doubt, and many more have commanded the Viejas stage. Want to get a taste of Vegas-style casino/resort entertainment without having to make a trip to Nevada? Harrah’s would be your go-to spot, with gaming, golf, luxurious spa services, close to a dozen food establishments, a full-on fitness center, and a 2,200-capacity events center that has hosted everybody from Snoop Dogg to Amy Schumer and beyond in style. The resort is a 21st-century wonder, and its location in Funner, California, should tell you all you need to know about what experience you should expect to have there.